Author: Manchee, William Set In . . . 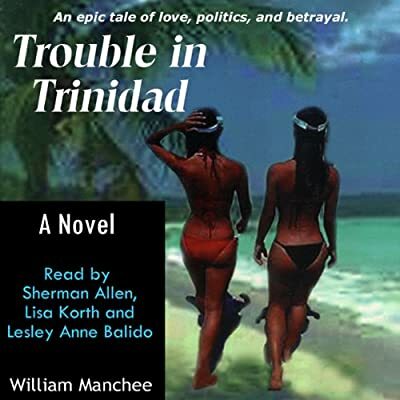 Description: It's the year 2001 and recent discoveries of vast off-shore oil reserves in and around Trinidad-Tobago have suddenly thrown this region into the limelight. Consequently, the United States is attempting to establish a Caribbean Free Trade Zone much like NAFTA. At an important trade conference in Dallas, Kevin Wells, an alert high school student who is participating in a ROTC color guard, foils an assassination attempt on the life of the Prime Minister of Trinidad-Tobago. As he sees the assassination attempt unfold he doesn't hesitate to throw himself in front of the Prime Minister. Immediately he feels the ruthless sting of the assassin's bullet piecing his back. He falls to the ground unconscious, near death. The assassin races to the roof where a helicopter awaits to provide his escape. The nation is stunned by this extraordinary act of heroism. For ten days the focus of the world is on Parkland Hospital where Kevin Wells lies in a coma. When he finally regains consciousness he's become a national hero. While in the hospital the President visits him to express the Nation's thanks. He brings with him Kiran Shah, the Prime Minister's beautiful daughter. Filled with gratitude because Kevin has saved her father's life, she honors Kevin with a kiss, reportedly the first kiss she's ever bestowed on any man. For weeks Kevin can think of nothing but Kiran as he's convinced she his perfect woman. When he goes to Trinidad to find out if she is really his soul mate he is unaware that the rebel NDC party, responsible for the assassination attempt, has a contract out on his life.